Wild Surge is a drop tower in Jungala at Busch Gardens Tampa. While it's not the best, it is also recommended. The minimum height to ride is 38 inches. 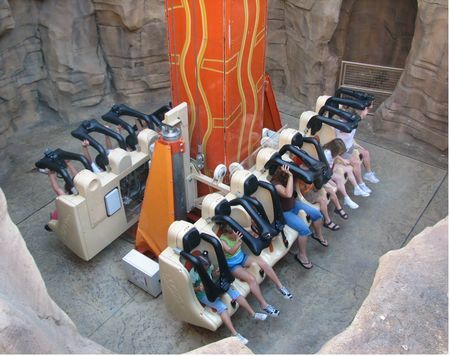 The Wild Surge is a 4 story, Moser-designed drop tower ride which lifts riders up the tower and drops them multiple times throughout the duration of this ride with the ending having riders being held for a few seconds at the top of the tower before the final drop.